The Athens Olympics are now over and Greece won 16 medals. The best-performing nations, according to the official medal count are the United States, China, Russia, Australia and Japan. A different look at the medal count of the Olympics comes from the Australian Bureau of Statistics which has compiled a world ranking based on population per gold medal. The Bahamas, Norway, Australia, Hungary and Cuba lead this ranking, with Greece placing 8th. At the bottom of the table, Syria, Mexico, Colombia, Nigeria and India. AMSTERDAM — Dutch men prefer blondes and over half of Dutch women want to be blond or blonder than their present shade, particularly in the summer, according to research published Thursday. The study carried out by research bureau Blauw Research for shampoo manufacturer Andrelon also found that women find men with dark hair more attractive. Some 71 percent of the 535 people, aged 18 to 55, polled said they were satisfied or very satisfied with their own hair colour. Men were more satisfied with their hair colour than women. Two out of five women were natural blondes and a slightly higher number were brunettes. The same applies to the men, though more men than women were black haired. Red hair was the rarest colour, Novum Nieuws reported. Several women polled no longer to know what their original hair colour was. About half of the women said they coloured their hair regularly, with 35 percent admitting to using dye. Half of the women polled have used highlights to make their hair appear blonder. Some 10 percent put their faith in nature, relying on the sun to make their hair blonder. The survey found that men — more so than women — believe blond hair makes a person look younger. Women, on the other hand, were more in favour of men with dark hair, with just 17 percent of females questioned saying blond men were very attractive. AncestryByDNA has released a EURO-DNA test which reports percentages of "Northern European," "Southeastern European," "Middle-Eastern," and "South Asian" admixture based on a 320 ancestry-informative markers (AIMs). The ad-hoc choice of the four ancestral groups and the rather confusing commentary and/or anomalous results (Iberians on average ~16% "South Asian"?) may discourage many from taking the test, especially at a price tag of $399. Still, EURO-DNA is a step towards personalized genetic archaeology, even though the theoretical assumptions and methodology leave much to be desired at this stage. If you start with the a priori breakdown into 4 groups, then each individual will have 4 numbers that add up to 100%. One could just as easily have used a "Southwestern European", "Northeastern European", "Middle Eastern" and "South Asian" breakdown, and again each individual would have 4 numbers adding up to 100%. The trick is to start with a collection of individuals, remove identifying tags and cluster them, thus identifying the real genetic components in the population, if any such components can be detected. This was the procedure followed by Rosenberg et al. . In that analysis, wholly different clusterings emerged, with e.g., the specificity of Iberian Basques, who were allocated their own cluster, was discovered. By contrast, an Iberian Basque taking the EURO-DNA test would perhaps get a score high in NOR/MED which however obfuscates the real genetic structure of the Basque population which is highly specific, as the Basques are an ancient ethnolinguistic isolate of the Iberian peninsula rather than the product of "admixture". AncestryByDNA must show why its chosen four-group breakdown is used in lieu of other potential choices. Update #2: Check out the comments for some additional information by Dr. Tony Frudakis of DNAPrint who is involved in the creation of EURO-DNA 1.0 and the AncestryByDNA tests. According to the Nordicist school, European achievement is primarily due to the tall, blond, dolichocephalic race. The only problem with this theory, which achieved such popularity in the 19th and early 20th centuries, is that when the skulls of prominent Europeans and Germans were measured there was no evidence of an overrepresentation of dolichocephals among them: indeed, most of them were brachycephalic, many of them tending to the extreme hyperbrachycephalic form, as the following passage illustrates. Sehen aber die Genies wirklich in der Regel so aus [DP: Germanisch Typus]? Genaue Feststellungen liegen leider nur selten vor. Immerhin können wir sagen, dass die Genies sehr häufig - vielleicht selbst in der Mehrzahl der Fälle - diesen Anforderungen nicht entsprechen. Vor allem ihr Schädel nähert sich meist ganz bedenklich der "Kreislinie tierischen Wohlbehagens", wie Chamberlain so schön sagt. Bismarck, Luther, Laplace, Napoleon, Pascal, Raphael, Beethoven, Haydn, Schubert sind einige Beispiele von Rundköpfen, ja, es scheint gerade die extreme Form der Rundköpfigkeit, die Hyperbrachycephalität, die man mit dem Index 85 beginnen lasst, unter ihnen sehr häufig zu sein). Schillers Schadel mit seinem Index von 84 steht knapp an inhrer Grenze, Kant mit seiner Indexnummer von 88.5 war ein ganz ausgesprochener Hyperbrachycephale. Hamerling hatte den Index 85.3, Schopenhauer den von 86, Leibniz gar einen von 90.3. Franz Weidenreich, "The Brachycephalization of Recent Mankind", Southwestern Journal of Anthropology, Vol. 1, No. 1. (Spring, 1945), p. 9. One can imagine the shock an intelligent German reader suffered when he remembered that many of the great German heroes from Bismarck down to Hindenburg and Hitler were brachycephalics and even hyperbrachycephalics, and that the three greatest philosophers Germany has produced-Leibniz, Kant, and Schopenhauer-had round heads in the most extreme form (Fig. 2, No. 4, Leibniz, skull index 90.3[! ]; NO. 5, Kant, skull index 88.5; No. 6, Schopenhauer, head index 90.0 [!). A very important new paper about Y chromosome haplogroup J. I will have more to say once I have finished reading it carefully. In summary, our data are in agreement with a major discontinuity for the peopling of southern Europe. Here, haplogroup J constitutes not only the signature of a single wave-of-advance from the Levant but, to a greater extent, also of the expansion of the Greek world, with an accompanying novel quota of genetic variation produced during its demographic growth. In the analysis by Cavalli-Sforza et al. (1994), the two peopling contributions can be distinguished, as they are caught in the first and the fourth principal component, respectively, but the relevance of the latter may have been underestimated. The two processes, widely spaced in time, are associated with dramatically different travel technologies. This implies that, in the central and west Mediterranean, the entry of J chromosomes may have occurred mainly by sea, i.e., in the south–east of both Spain and Italy. F. Di Giacomo et al. Abstract In order to attain a finer reconstruction of the peopling of southern and central-eastern Europe from the Levant, we determined the frequencies of eight lineages internal to the Y chromosomal haplogroup J, defined by biallelic markers, in 22 population samples obtained with a fine-grained sampling scheme. Our results partially resolve a major multifurcation of lineages within the haplogroup. Analyses of molecular variance show that the area covered by haplogroup J dispersal is characterized by a significant degree of molecular radiation for unique event polymorphisms within the haplogroup, with a higher incidence of the most derived sub-haplogroups on the northern Mediterranean coast, from Turkey westward; here, J diversity is not simply a subset of that present in the area in which this haplogroup first originated. Dating estimates, based on simple tandem repeat loci (STR) diversity within each lineage, confirmed the presence of a major population structuring at the time of spread of haplogroup J in Europe and a punctuation in the peopling of this continent in the post-Neolithic, compatible with the expansion of the Greek world. We also present here, for the first time, a novel method for comparative dating of lineages, free of assumptions of STR mutation rates. The common maternal ancestor of all living humans appears to be much older than the common paternal ancestor of all living men. It has been suggested that selection on the Y-chromosome is responsible for this discrepancy, that is, that a recent male line has wiped out older lines because of some unspecified advantage. This new study indicates that this is not the case, and rather that the female effective population size was higher than the male one, which is likely due to the practice of successful males to have many children with different wives (polygyny). The time to the most recent common ancestor (TMRCA) of the human mitochondria (mtDNA) is estimated to be older than that of the non-recombining portion of the Y chromosome (NRY). Surveys of variation in globally distributed humans typically result in mtDNA TMRCA values just under 200 thousand years (kya) while those for the NRY range between 46 and 110 kya. A favored hypothesis for this finding is that natural selection has acted on the NRY leading to a recent selective sweep. An alternate hypothesis is that sexbiased demographic processes are responsible. Here we re-examine the disparity between NRY and mtDNA TMRCAs using data collected from individual human populations--a sampling strategy that minimizes the confounding influence of population subdivision in global datasets. We survey variation at 782 bp of the mitochondrial cytochrome c oxidase subunit 3 gene as well as at 26.5 kb of non-coding DNA from the NRY in a sample of 25 Khoisan, 24 Mongolians, and 24 Papua New Guineans. Data from both loci in all populations are best described by a model of constant population size, with the exception of Mongolian mtDNA which appears to be experiencing rapid population growth. Taking these demographic models into account, we estimate the TMRCAs for each locus in each population. A pattern that is remarkably consistent across all three populations is an approximately two-fold deeper coalescence for mtDNA than for the NRY. The oldest TMRCAs are observed for the Khoisan (73.6 kya for the NRY and 176.5 kya for mtDNA) while those in the non-African populations are consistently lower (averaging 47.7 kya for the NRY and 92.8 kya for mtDNA). Our data do not suggest that differential natural selection is the cause of this difference in TMRCAs. Rather, these results are most consistent with a higher female effective population size. 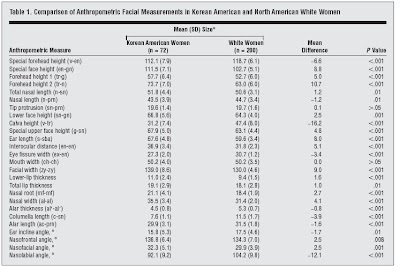 A new study quantifies the level of Caucasoid admixture in various populations of the Xinjiang province of China, which ranges from 0% in the Han Chinese to 43% in the Uygur. Different Matrilineal Contributions to Genetic Structure of Ethnic Groups in the Silk Road Region in China. Previous studies have shown that there were extensive genetic admixtures in the Silk Road region. In the present study, we analyzed 252 mtDNAs of five ethnic groups (Uygur, Uzbek, Kazak, Mongolian, and Hui) from Xinjiang Province, China (where once was the via route of the Silk Road), together with some reported data from the adjacent regions in Central Asia. In a simple way, we classified the mtDNAs into different haplogroups (monophyletic clades in the rooted mtDNA tree) according to the available phylogenetic information and compared their frequencies to show the differences among the matrilineal genetic structures of these populations with different demographic histories. With the exception of 8 unassigned M(*), N(*) and R(*) mtDNAs, all the mtDNA types identified here belonged to defined subhaplogroups of haplogroups M and N (including R) and consisted of subsets of both the eastern and western Eurasian pools, thus providing direct evidence in supporting the suggestion that Central Asia be the place of the genetic admixture of the East and the West. Although our samples were from the same geographic location, a decreasing tendency of the western Eurasian-specific haplogroup frequency was observed, with the highest frequency present in Uygur (42.6%) and Uzbek (41.4%), followed by Kazak (30.2%), Mongolian (14.3%), and Hui (6.7%). No western Eurasian type was found in Han Chinese samples from the same place. The frequencies of the eastern Eurasian-specific haplogroups also varied in these samples. Combined with the historical records, ethno-origin, migratory history, and marriage custom might play different roles in shaping the matrilineal genetic structure of different ethnic populations resided in this region. Bulgarian archaeologist Georgi Kitov holds a 2,400-year-old golden mask he discovered Thursday in the tomb of a Thracian king in Shipka, Bulgaria. The solid gold mask “has no comparison in the world,” said Kitov, who believes it may depict the image of King Seutus III. Toronto Star. Aug. 21, 2004. 01:00 AM. SHIPKA, Bulgaria—A Bulgarian archaeologist has unearthed a 2,400-year-old golden mask in the tomb of an ancient Thracian king — a find he says is unrivalled in the study of classical antiquity. "It is sensational," said Georgi Kitov, who found the mask Thursday near the village of Shipka, 200 kilometres east of Sofia. He believes it may depict King Seutus III, a 5th century BC leader of the Thracians, the dispersed tribes who once lived in parts of what is now modern-day Bulgaria, Romania, Macedonia, Turkey and Greece. Kitov said the mask "has no comparison in the world," and may be a more significant find than the Mask of Agamemnon, the Greek hero described by Homer in the Iliad. It's one of the most famous images of Greek antiquity, and the centrepiece of the National Archaeological Museum in Athens. "The Mask of Agamemnon was made of gold foil and weighs only 60 grams, while this mask weighs 690 grams (24 oz.) and is of solid gold," Kitov said. The burial place was covered with six stone slabs, each weighing at least two tonnes. The king's remains have not yet been found, but excavations at the tomb continue. The Thracians lived on the fringes of the Greek and Roman civilizations, often intermingling and clashing with the more advanced cultures until they were absorbed around 45 AD. Archaeological finds have provided most of what is known of the culture. Anyone who uses Richard Lynn's national IQ values should be aware that this data is "massaged"; either that, or Lynn doesn't know elementary arithmetic. Of course, I did not have time to go through all of the studies referenced by Lynn, so I manually checked his reported numbers from Buj (1981), a study on national European IQ levels, which I have personally read when writing my Greek and European IQ page. The first column below are the original numbers from Buj (1981) taken from  and cross-checked against my own reading of the original paper. The second column are the numbers reported in IQ and the Wealth of Nations. Lynn rounds most numbers to the closest integer, but Italy's score is rounded down (0.8->0), Austria's score is rounded down (0.5->0), Ireland's score is "rounded" up (0.2->1), Norway's score is 1.8 lower than the real one, Greece's score is 2.4 lower than the one reported by Buj (1981). All in all, 5 errors in 19 numbers from a single study. Buj, V., 1981, Average IQ values in various European countries, Personality and Individual Differences, 2, 168-169. Physical characteristics, such as breast size and waist-to-hip ratio (WHR), function as important features used by human males to assess female attractiveness. Males supposedly pay attention to these features because they serve as cues to fecundity and health. Here, we document that women with higher breast-to-underbreast ratio (large breasts) and women with relatively low WHR (narrow waists) have higher fecundity as assessed by precise measurements of daily levels of 17-β-oestradiol (E2) and progesterone. Furthermore, women who are characterized by both narrow waists and large breasts have 26% higher mean E2 and 37% higher mean mid-cycle E2 levels than women from three groups with other combinations of body-shape variables, i.e. low WHR with small breasts and high WHR with either large or small breasts. Such gains in hormone levels among the preferred mates may lead to a substantial rise in the probability of conception, thus providing a significant fitness benefit. I had previously posted about a study (American Journal of Human Biology, 16(1): 31 - 42) which found a month-of-birth effect in height and weight for Polish school children. This new study indicates that psychological makeup is also affected by the season in which one is born. Previous research has identified a relationship between season of birth and level of novelty seeking (Chotai, Lundberg, & Adolfsson, 2003). The current study investigates whether level of sensation seeking is also related to birth season in individuals from the Northern Hemisphere. Participants were 448 students of The Open University, UK (125 males, 323 females, age range 20–69 years, mean = 39.2, SD = 9.8). The Sensation Seeking Scale V and a demographic questionnaire including month of birth were completed by participants either on the World-Wide Web (n = 284) or on paper (n = 164). A significant interaction of age and season of birth on level of sensation seeking was found, similar to previous findings for novelty seeking. Individuals aged 20–45 years born during October to March had a higher level of sensation seeking than those of the same age born in the other six months, while the opposite association was found for individuals aged 46–69 years. Results suggest an age-related difference in level of sensation seeking between individuals born during different seasons. Possible reasons for the seasonal difference are discussed, including development of the sensation seeking trait across the lifespan in relation to dopamine turnover. A skeleton from northeastern Yakutia (east Siberia) dating to the Neolithic period (3,600 years BP) belongs to mtDNA haplogroup C and the combined mtDNA and autosomal analysis shows its similarity to modern east Siberian/Native American populations. We successfully extracted DNA from a bone sample of a Neolithic skeleton (dated 3,600 ± 60 years BP) excavated in northeastern Yakutia (east Siberia). Ancient DNA was analyzed by autosomal STRs (short tandem repeats) and by sequencing of the hypervariable region I (HV1) of the mitochondrial DNA (mtDNA) control region. The STR profile, the mitochondrial haplotype, and the haplogroup determined were compared with those of modern Eurasian and Native American populations. The results showed the affinity of this ancient skeleton with both east Siberian/Asian and Native American populations. Greece's Nikolaos Kaklamanakis sailing in men's windsurfer mistral shows thumbs up at award ceremony after wining silver medal in the Athens 2004 Olympic Games regatta August 25, 2004. Greek skipper Sofia BEKATOROU (L) and crew member Emilia TSOULFA as they cross the finish line, during the Women's Double-handed Dinghy-470 race nine, 19 August 2004, at the 2004 Olympic Games in Athens. The Greek pair went on to win the gold Medal. A new study re-evaluates mtDNA evidence, in conjunction with Y-chromosomal and autosomal DNA, to trace the origins of Celtic-speaking populations of Western Europe. The main conclusion is that while some Central European origin can't be ruled out using genetic data, current and former Celtic speakers seem to share a common ancestry with other non-Celtic populations of the Atlantic zone of Europe. Celtic languages are now spoken only on the Atlantic facade of Europe, mainly in Britain and Ireland, but were spoken more widely in western and central Europe until the collapse of the Roman Empire in the first millennium A.D. It has been common to couple archaeological evidence for the expansion of Iron Age elites in central Europe with the dispersal of these languages and of Celtic ethnicity and to posit a central European "homeland" for the Celtic peoples. More recently, however, archaeologists have questioned this "migrationist" view of Celtic ethnogenesis. The proposition of a central European ancestry should be testable by examining the distribution of genetic markers; however, although Y-chromosome patterns in Atlantic Europe show little evidence of central European influence, there has hitherto been insufficient data to confirm this by use of mitochondrial DNA (mtDNA). Here, we present both new mtDNA data from Ireland and a novel analysis of a greatly enlarged European mtDNA database. We show that mtDNA lineages, when analyzed in sufficiently large numbers, display patterns significantly similar to a large fraction of both Y-chromosome and autosomal variation. These multiple genetic marker systems indicate a shared ancestry throughout the Atlantic zone, from northern Iberia to western Scandinavia, that dates back to the end of the last Ice Age. Forensic reconstruction of a 6th c. Anglo-Saxon woman buried with a rich collection of grave woods. Reconstruction of patrilineages and matrilineages of Samaritans and other Israeli populations from Y-Chromosome and mitochondrial DNA sequence Variation. The Samaritan community, which numbered more than a million in late Roman times and only 146 in 1917, numbers today about 640 people representing four large families. They are culturally different from both Jewish and non-Jewish populations in the Middle East and their origin remains a question of great interest. Genetic differences between the Samaritans and neighboring Jewish and non-Jewish populations are corroborated in the present study of 7,280 bp of nonrecombining Y-chromosome and 5,622 bp of coding and hypervariable segment I (HVS-I) mitochondrial DNA (mtDNA) sequences. Comparative sequence analysis was carried out on 12 Samaritan Y-chromosome, and mtDNA samples from nine male and seven female Samaritans separated by at least two generations. In addition, 18-20 male individuals were analyzed, each representing Ethiopian, Ashkenazi, Iraqi, Libyan, Moroccan, and Yemenite Jews, as well as Druze and Palestinians, all currently living in Israel. The four Samaritan families clustered to four distinct Y-chromosome haplogroups according to their patrilineal identity. Of the 16 Samaritan mtDNA samples, 14 carry either of two mitochondrial haplotypes that are rare or absent among other worldwide ethnic groups. Principal component analysis suggests a common ancestry of Samaritan and Jewish patrilineages. Most of the former may be traced back to a common ancestor in the paternally-inherited Jewish high priesthood (Cohanim) at the time of the Assyrian conquest of the kingdom of Israel. Researchers have found that large regions of the human genome may be duplicated or missing in individuals, and that these regions often overlap with gene-coding regions. This has important consequences as previously it was thought that most human variation was in "small-scale" mutations that affected single or a few nucleotides. But, the researchers have now found that these new variations "involve gains or losses of several kilobases to hundreds of kilobases of genomic DNA among phenotypically normal individuals." A John Iafrate et al. We identified 255 loci across the human genome that contain genomic imbalances among unrelated individuals. Twenty-four variants are present in > 10% of the individuals that we examined. Half of these regions overlap with genes, and many coincide with segmental duplications or gaps in the human genome assembly. This previously unappreciated heterogeneity may underlie certain human phenotypic variation and susceptibility to disease and argues for a more dynamic human genome structure. A very good site linked from the Y-Haplogroups page is dedicated to haplogroup I1a. The page, built by Ken Nordtvedt, is a very good resource for all those interested in this -mainly NW European/Germanic- clade of Haplogroup I. A total of 1582 individuals of the indigenous population of the Peloponnesus was investigated anthropologically. 1465 of these individuals are males, 117 females in the age between 20 and 60 years. The mean age of the males is 40 years, that of the females 30 years. Altogether 19 metric and 42 morphognostic characters could be considered. In order to study the geographical variability of these characters 90 distribution maps were drawn. Furthermore, multivariate statistical analysis was done, using Hiernaux's distance method, which allows to consider metric and morphognostic characters simultaneously. According to the distribution pattern of the anthropological characters under study and the results of Hiernaux's distance method two anthropological types can be discerned. The first of these two types covers the largest part of the country and is found mainly in the Western and Southern parts of the Peloponnesus, whereas the other one is dominating in Northeastern and Central Peloponnesus. The Western-Southern type is characterized by a relatively dark skin, straight nose, brown-grey eyes, marked eye-brows, and a marked torus supraorbitalis as compared to the Northeastern-Central type. An ethnohistorical interpretation of these differences is not yet possible. This study shows that modern Siberians are partly descended from the Mongoloid Neolithic Siberians. Siberian population of the New Stone Age: mtDNA haplotype diversity in the ancient population from the Ust'-Ida I burial ground, dated 4020-3210 BC by 14C. Naumova O Y et al. On the basis of analysis of mtDNA from skeletal remains, dated by 14C 4020-3210 BC, from the Ust'-Ida I Neolithic burial ground in Cis-Baikal area of Siberia, we obtained genetic characteristics of the ancient Mongoloid population. Using the 7 restriction enzymes for the analysis of site's polymorphism in 16,106-16,545 region of mtDNA, we studied the structure of the most frequent DNA haplotypes, and estimated the intrapopulational nucleotide diversity of the Neolithic population. Comparison of the Neolithic and modern indigeneous populations from Siberia, Mongolia and Ural showed, that the ancient Siberian population is one of the ancestors of the modern population of Siberia. From genetic distance, in the assumption of constant nucleotide substitution rate, we estimated the divergence time between the Neolithic and the modern Siberian population. This divergence time (5572 years ago) is conformed to the age of skeletal remains (5542-5652 years). With use of the 14C dates of the skeletal remains, nucleotide substitution rate in mtDNA was estimated as 1% sequence divergence for 8938-9115 years. A genetic study on Estonians agrees with a multivariate craniometric study (Homo. 2002;52(3):240-53.) in proposing that the Finno-Ugrians were originally a separate race from both Caucasoids and Mongoloids. A population genetic characterization of Estonians. This paper discusses the genetic characterization of Estonians on the basis of eight blood group systems, and the traits of PTC tasting and colour blindness in 40 Estonian population samples from various parts of the country. The allele frequencies for the total Estonian population and for the four most different regions are presented. The survey shows genetic heterogeneity within the Estonians; the greatest genetic differences were observed in West-East direction. The West-Islands, West, and North Estonia differ from the other regions (East, South-East, also South-West and Central Estonia--which form a compact cluster). The mean allele frequencies of the Estonians are comparable to those typical for populations from North and East Europe, but the allele frequencies of Estonians are characterized by tendencies in two opposite (western and eastern) directions, like in other Finno-Ugric populations and concerning other anthropological traits. Estonians reveal closest similarities to the nearest neighbouring populations, regardless of their language group. The genetic heterogeneity and antagonistic traits in Estonians seem to be traces of the original genetic structure of Finno-Ugric ancestor populations which were neither Mongoloid nor Caucasoid. This study discovers that suicide rates in Europe are strongly correlated with geography. Countries with high suicide rates form a belt from Finland to Austria which corresponds with the genetic zone of cold adaptation and ancient Uralic language dispersion. The authors suggest that genetic risk factors in this region are responsible for high suicide rates. Percept Mot Skills. 2003 Oct;97(2):401-6. The Finno-Ugrian suicide hypothesis: variation in European suicide rates by latitude and longitude. The marked variation regarding the suicide rate in 34 European countries is well described by regressing the national suicide rate on the capital cities' latitudes and on an interaction term of squared latitude multiplied with longitude. The interaction term explains 40.8% and 29.1% of men's and women's suicide rate, respectively, and latitude explains a further significant increment of 10.9% and 10.6% variance of men's and women's suicide rate, respectively. This regression model quantifies the Finno-Ugrian suicide hypothesis of Kondrichin and of Marusic and Farmer. The European countries highest in suicide rate constitute a contiguous, J-shaped belt, spanning from Finland to Austria. This area maps onto the second principal component identified for European gene distribution, representing ancestral adaptation to cold climates and the Uralic language dispersion. Thus, population differences in genetic risk factors may account for the spatial pattern in European suicide rates. In agreement with a recent autosomal DNA study on the Yakuts, this ethnic group is characterized by mainly Mongoloid mtDNA haplogroups (A, B, C, D, G, and F) as well as the Uralic-Mongoloid Y-haplogroup N3. The structure of female (mtDNA) and male (Y-chromosome haplotypes) lineages in the Yakut population was examined. To determine mtDNA haplotypes, sequencing of hypervariable segment I and typing of haplotype-specific point substitutions in the other parts of the mtDNA molecule were performed. Y haplogroups were identified through typing of biallelic polymorphisms in the nonrecombining part of the chromosome. Haplotypes within haplogroups were analyzed with seven microsatellite loci. Mitochondrial gene pool of Yakuts is mainly represented by the lineages of eastern Eurasian origin (haplogroups A, B, C, D, G, and F). In Yakuts haplogroups C and D showing the total frequency of almost 80% and consisting of 12 and 10 different haplopypes, respectively, were the most frequent and diverse. The total part of the lineages of western Eurasian origin ("Caucasoid") was about 6% (4 haplotypes, haplogroups H, J, and U). Most of Y chromosomes in the Yakut population (87%) belonged to haplogroup N3 (HG16), delineated by the T-C substitution at the Tat locus. Chromosomes of haplogroup N3 displayed the presence of 19 microsatellite haplotypes, the most frequent of which encompassed 54% chromosomes of this haplogroup. Median network of haplogroup N3 in Yakuts demonstrated distinct "starlike phylogeny". Male lineages of Yakuts were shown to be closest to those of Eastern Evenks. Results from a recent paper indicate that the Turkic-speaking Yakuts from Siberia were originally racially Mongoloid and experienced genetic admixture with Indo-European speaking Sakas approximately 1,500-1,750 years ago. Published data on two cases of linkage disequilibrium in Yakuts are analyzed. These are the disequilibria between loci HLA-A and HLA-B and between the mutation of gene SCA1 responsible for type 1 spinocerebellar ataxia and its flanking microsatellites D6S274 and D6S89. Both cases are regarded as consequences of the founder effect. The genetic archeological approach has been used to calculate the historical period when the mutant SCA1 gene and the HLA-A1\B17 haplotype spread in the population. 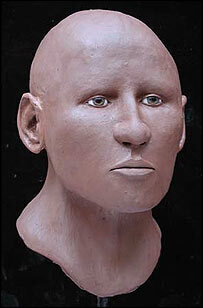 It has been found that this was approximately 60-70 generations (1500-1750 years) ago in both cases. The time of the segregation of haplotype HLA-A1\B17 has also been calculated for some other populations. Caucasoids have proved to be the oldest carriers of this gene, which agrees with the well-known notion that HLA-A1 originated in Indo-Europeans. The general distribution of HLA genes in Yakuts is similar to that in east-central Asian Mongoloids; therefore, it is concluded that that Yakuts are east-central Asian Mongoloids by origin, except for the founder that had haplotype A1\B17. Historically, the time of the appearance of this haplotype coincided with the period when Saks conquered east-central Asia; therefore, it is hypothesized that the aforementioned founder was a Sak. Both groups preferred a nasal profile with a slight scoop (P = .005 for the public and P<.001 for the rhinoplasty group), slight overrotation (P = .08 for the public and P<.001 for the rhinoplasty group), and slight underprojection (P<.001 for both groups). However, the degree of underrotation preferred by the public did not differ significantly from that of the averaged nose. While the results are not very surprising, one look at the computer-manipulated images in the paper, shows that they do not only deviate from the average, but appear to be unnatural and unconvincing. Arch Facial Plast Surg. 2004;6:257-262. David C. Pearson et al. Objectives To evaluate whether patients seeking reduction rhinoplasty hold a different concept of the ideal nose than does the general public, and to determine what features characterize the ideal nasal profile. Methods Twenty-seven patients seeking reduction rhinoplasty and 15 randomly selected members of the public evaluated a series of computer-manipulated photographic profiles using a pictorial visual analogue scale to rate their preferences for several variables. Center-scale images were created from mesh-warped ("morphed") computer averaging of 12 white women. Differences between the rhinoplasty group and the public group were then compared, as was each group's deviation from the center of the scale. Results Both groups preferred narrowly distributed differences from the "average" profile to a high degree of significance. No statistically significant difference was found between the ideal nasal profiles selected by the rhinoplasty group and the public group. Conclusions Reduction rhinoplasty patients do not appear to have a different concept of the ideal nose than does the public at large. The ideal nose, as it pertains to the ideal white female profile, has characteristics that differ from a mathematically averaged nasal profile. A. V. Lunkina et al. Mitochondrial DNA (mtDNA) polymorphism was examined in two Russian populations of Novgorod oblast, from the city of Velikii Novgorod (n = 81), and the settlement of Volot (n = 79). This analysis showed that the mitochondrial gene pool of Russians examined was represented by the mtDNA types belonging to 20 haplogroups and subhaplogroups distributed predominantly among the European populations. Haplogroups typical of the indigenous populations of Asia were found in the population sample from Velikii Novgorod with the average frequency of 3.7% (haplogroups A, Z, and D5), and with the frequency of 6.3% (haplogroups Z, D, and M*) in the Volot population. It was demonstrated that the frequency of the mitochondrial lineages combination, D5, Z, U5b-16144, and U8, typical of the Finnish-speaking populations of Northeastern Europe, was somewhat higher in the urban population (7.4%) compared to rural one (3.8%). The problem of genetic differentiation of Russians from Eastern Europe inferred from mtDNA data, is discussed. A new paper proposes that reduced solar activity after 850BC resulted in the transformation of formerly desert-like regions into herbivore-friendly wet steppes. According to this theory, the Scythian culture expanded after this time, taking advantage of the newly created steppe regions. B. van Geel et al. In south-central Siberia archaeological evidence suggests an acceleration of cultural development and an increase in the density of nomadic populations around 850 BC. We hypothesize a relationship with an abrupt climatic shift towards increased humidity caused by a decline of solar activity. Areas that initially may have been hostile semi-deserts changed into attractive steppe landscapes with a high biomass production and high carrying capacity. Newly available steppe areas could be invaded by herbivores, making them attractive for nomadic tribes. The central Asian horse-riding Scythian culture expanded, and an increased population density was a stimulus for westward migration towards southeastern Europe.